" A very nice, very clean spa. 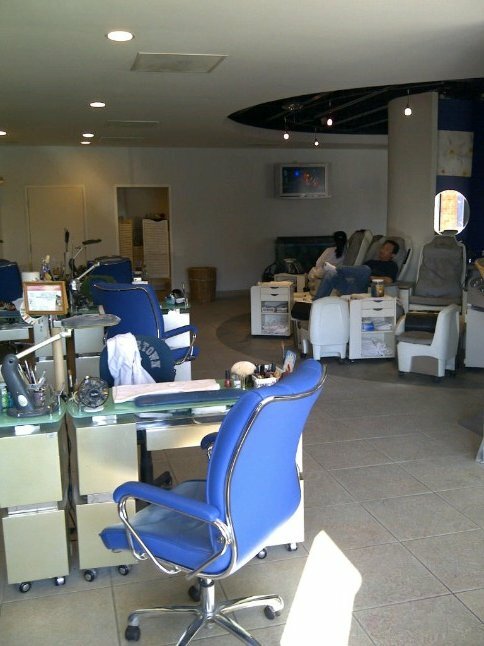 Pleasant staff~ and rarely a wait, even without an appointment." -"Pedicure GREAT: Yes, Sapphire Nails does an excellent pedicure. The best I have had. My feet are massaged longer than anywhere else and it feels SO good." -"Best experience for a pedicure! : I went to Sapphire Nails today and got their "Spa Pedicure". For only five extra dollars they put some extra lotions, steam wrapped and oil massaged my feet and legs. I had no wait and was in and out. I also got my eyebrows done and have no complaints. I will definitely go back for another pedicure." " I just love the nail art and the new decor is great. They have turned an ordinary nail salon into a spa and its great. The staff take the time to get to know their customers and thats great." " The best place to get pampered i have been a customer for over 15 years and will go to no other place. They have the best pedicures and have facials and massages that are affordable. Plus there is tanning !"